This is the Chain Tensioner or Camshaft Adjuster Unit for the 2.7T Motor found in the B5-S4, C5-A6 and C5-allroad. 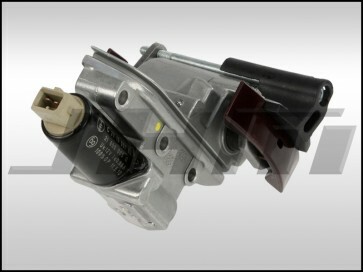 This is the Adjuster Unit for Cylinders 1 - 3 or the passenger side of the motor in left hand drive cars. This is a high-quality, replacement unit made by Vaico, a replacement parts manufacturer for many Audi and VW parts. The OEM Part Number is: 078109088H or 078 109 088 H.